i don't know if we could be friends if it actually WAS dip. EWWW. I am SO jealous! Glad you had fun. I wish I could have been there! I will in April. Joey Logano did well. Ear plugs are definitely a must! I bring brisket with me along with sauce and plenty of water. Have you picked a driver yet? That all sounds so lovely. I'm still trying to learn about the sport and was just cheering for the drivers in Chevy cars. Plus Jimmie us gorg. It was so fun meeting you!!! I had a blast at the race and yes...you definitely need ear protection next time!! I don't know how y'all did that without ear protection! Ha, it was deff rough. Next time I will bring something. It was nice to meet you as well. Ohh, I would love to see drag strip. 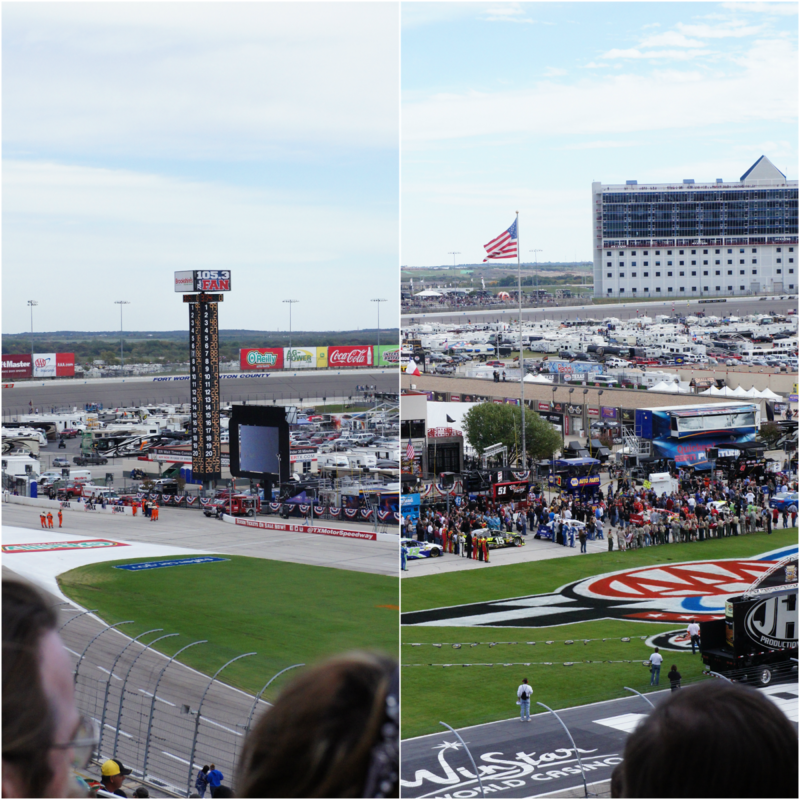 I was never really into NASCAR but watching in person was thrilling and gave me a new respect for it. And round and round they go. Glad you had fun! I happen to live in Dallas! I am with Dawn on this one. I haven't really been into NASCAR or other driving sports for real. I like looking at the cars sometimes and hearing a few breakthroughs about the sport but never got into it. But I WOULD love to drive around in one of the cars one day -only if the track is empty. I would love to drive one as well. I will say that it is deff better watching in person than on tv. One of my half marathons I ran last year at ON the TMS! Like, we ran on the track! It was actually really cool. If you want to see a few pics of us on the infield, you can check out this post: http://www.theladyokieblog.com/2012/10/why-i-run-and-recap-of-half-marathon-4.html :) Woo Texas! 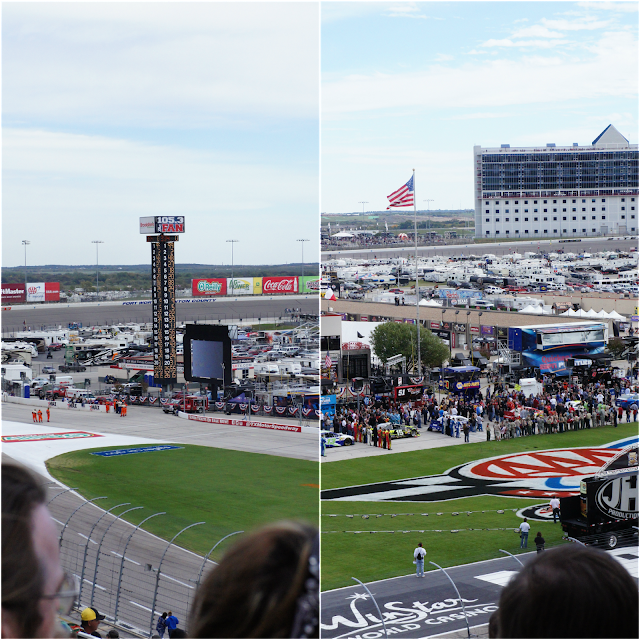 Aleshea, this was fun- I've never been to a NASCAR race, but I almost feel like I was there. I don't guess I had any idea how huge the place is- wow! Very colorful and exciting. Is your hearing back yet, lol?